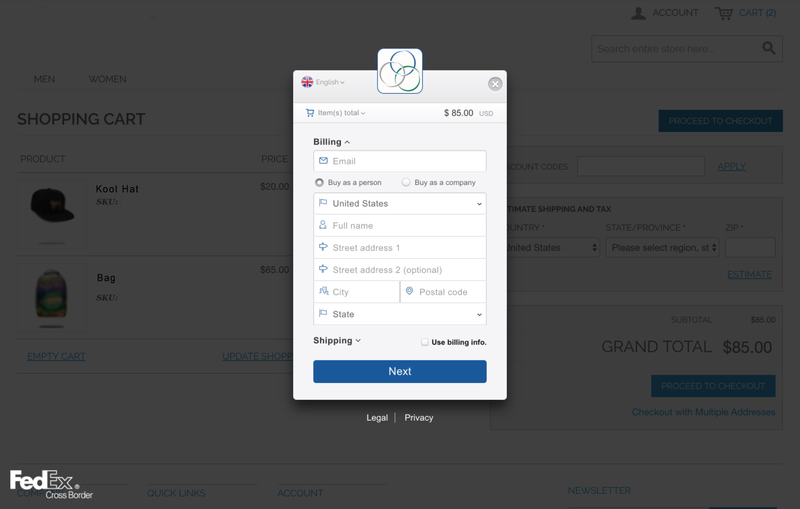 Accept international orders with ease. Our proprietary international e-commerce solutions help you customize your user experience and capture new markets with minimal effort. Already a merchant? Log in now. Ordering internationally is easier than ever. With FedEx Cross Border, you'll have access to a wider selection of retailers, a convenient shopping experience, and the peace of mind that comes with using FedEx. FedEx Cross Border offers simple, secure e-commerce technology that creates a more localized online checkout experience for your international customers. We can help you connect with a larger customer base and give your business the opportunity to grow on a global scale. Interested in expanding your business into the international market? Want to open your doors to international consumers? Learn how easy it can be to support global e-commerce with the help of FedEx Cross BorderSM global e-commerce solutions. Email your information to fcbsales@ftn.fedex.com and an account specialist will contact you.